Another ATC made using a brushos background as the starting point. And another Santoro stamp. The green and blue strip I over stamped with a grey ink and the kaisercraft stamp. I then added two strips of patterned paper left from an Artful Days goodie box. 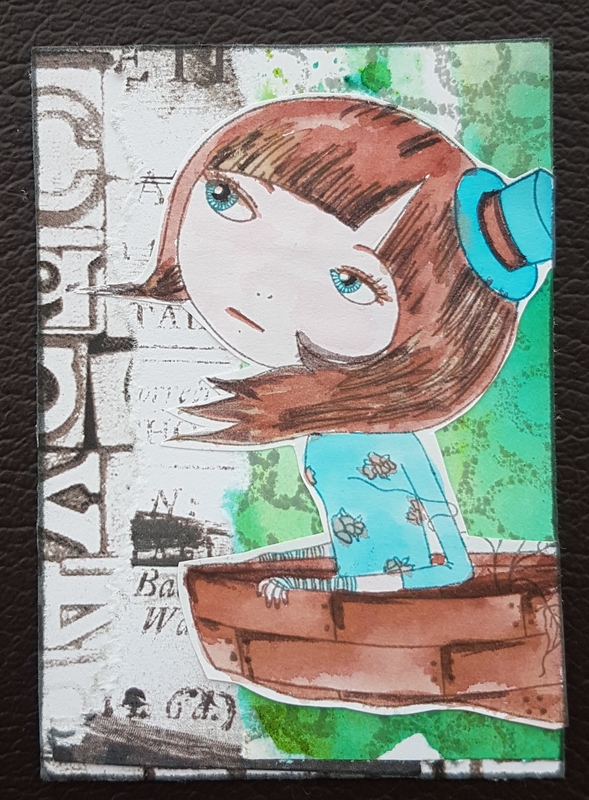 I then added the stamped girl image which I had coloured using brushos … I had them out on the desk so it seemed the best option! Love how this came out. May have to use this image more often as I often bypass her!